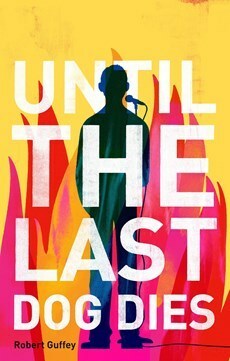 Robbert Guffey dives right into the field of stand up comedy with his science fiction novel, Until The Last Dog Dies, speculating a future devoid of humour. A virus has infected people’s ability to register or respond to humor, thereby threatening Elliot and his friends’ profession. The premise of this novel is a fantastic one! I couldn’t have been more excited to read it. But sadly, I didn’t finish it. The initial couple of chapters weren’t gripping at all and try as I might, I couldn’t bring myself to push through till the very end. There were some scenes strung together that didn’t make sense to me and Elliot’s character didn’t help make matters better. All throughout the chapters, his thought process is all over the place and so the narrative digresses multiple times in a confusing manner. The writing style of the author is pretty articulate and does not heavily rely on dialogue. Apart from the writing style, the plot was something I really looked forward to. But when you are unable to connect with any of the characters in a book, it becomes a little difficult to keep reading. Perhaps if you do finish reading it, you could let me know your thoughts about the book. But I tried a couple of times to get a grip on it and failed. What do you get out of it? Honestly, other than coming to terms with what it’s like to be a stand up comedian, I can’t highlight any plus-points within the chunk of the book that I read. Thank you Ingram Publisher Services and Edelweiss for an e-galley in exchange for a review.